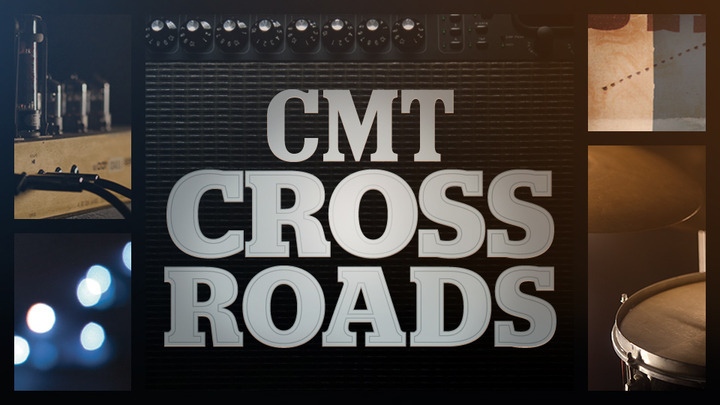 NASHVILLE – June 27, 2018 – Grammy®-nominated R&B artist Leon Bridges joins multi-platinum Country singer-songwriter Luke Combs for the latest installment of “CMT Crossroads” premiering Thursday, June 28 at 10 pm ET/PT on CMT. Taped earlier this month, the special one-hour “Crossroads” event was filmed outdoors in the middle of Broadway in downtown Nashville, surrounded by the city’s legendary honky-tonks, bright lights, and thousands of fans who flocked to be a part of this one-of-a-kind collaboration. The artists blend their powerful vocals on hits including Bridges’ “River,” “Coming Home,” and “Beyond,” alongside Combs’ “When It Rains It Pours,” “Hurricane,” and recent No. 1 single “One Number Away.” Embeddable videos of “When It Rains It Pours” and “Beyond” are available now. Leon Bridges is a two-time Grammy nominated R&B artist and songwriter from Fort Worth, TX. Leon Bridges' early work on the open mic circuit prompted comparisons to legends like Sam Cooke and Otis Redding, but he quickly came into his own as a Top Ten, multiple Grammy-nominated, globally touring artist. His debut album, Coming Home, debuted at number six on the Billboard 200 and was certified gold by the RIAA. In May 2018, Leon released his sophomore album Good Thing globally via Columbia Records. Critics heralded Good Thing for its modern R&B sound, lush production and joyous songwriting. Luke Combs is a multi-platinum No. 1 Country singer-songwriter from Asheville, North Carolina. With brazen songwriting talent and grizzled, soul-infused vocals, Combs stormed onto the music landscape as one of Country’s brightest stars with the release of his critically-acclaimed No. 1 debut album, This One’s For You on River House Artists/Columbia Nashville. Celebrated for its lyrical fortitude and modern traditionalist bravado, the project spurred three consecutive multi-week No. 1 hits “Hurricane,” “When It Rains It Pours” and “One Number Away.” On June 1, Combs released This One’s For You Too, a 17-track expanded collection of his celebrated debut project which debuted at No. 1 on Billboard Country Albums Chart. The road warrior recently wrapped his 55-city sold-out first headlining Don’t Tempt Me With A Good Time Tour, performed on all-star lineups for CMA Music Fest, Stagecoach & Austin City Limits and joins Jason Aldean on his nationwide Summer 2018 tour. “CMT Crossroads” debuted January 13, 2002 with Elvis Costello and Lucinda Williams and since has showcased dream musical partnerships including Kid Rock and Hank Williams, Jr.; Ray Charles and Travis Tritt; Dave Matthews and Emmylou Harris; Bon Jovi and Sugarland; Kelly Clarkson and Reba McEntire; Def Leppard and Taylor Swift; Sting and Vince Gill; John Mayer and Keith Urban; Steven Tyler and Carrie Underwood; Stevie Nicks and Lady Antebellum; Katy Perry and Kacey Musgraves; Alicia Keys and Maren Morris; the Backstreet Boys and Florida Georgia Line; and Kesha and Old Crow Medicine Show to name a few.